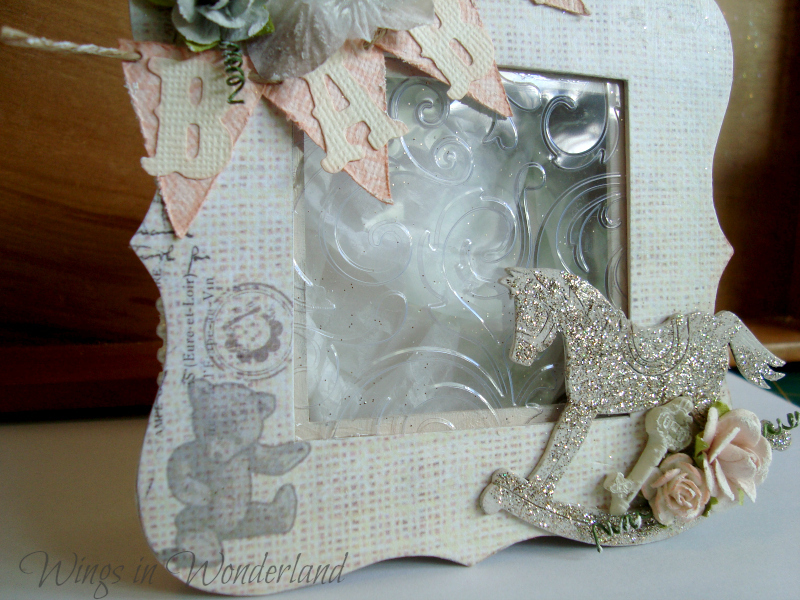 Hello again, Kristy here with another Fabscraps and Prima project to share with you all. This week I decided to go off the page with a Scrapware box I have been holding onto for a while. The box is covered in acrylic paint with crackle paint over the top and then I have used Modpodge to adhere the beautiful Bunny Bear 2 paper down and I also used this as a sealer as well. (just remember to ink/distress your paper before sealing or it wont show up as much) yes I figured this out the hard way! 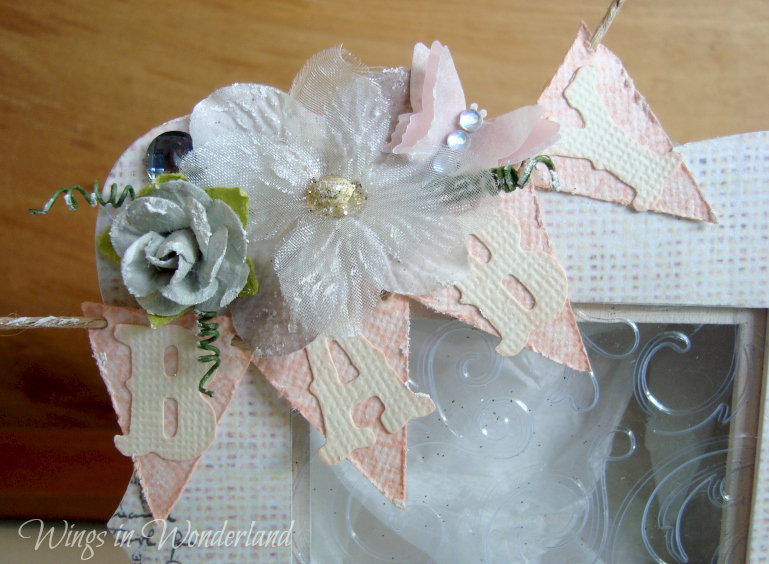 Anyway the Banner is made using Couture Creations Stamps, Docrafts string.and Tim Holtz/Sizzix Vintage Market Die and the Flowers are Prima Joulee Marble and Mini Meadow. 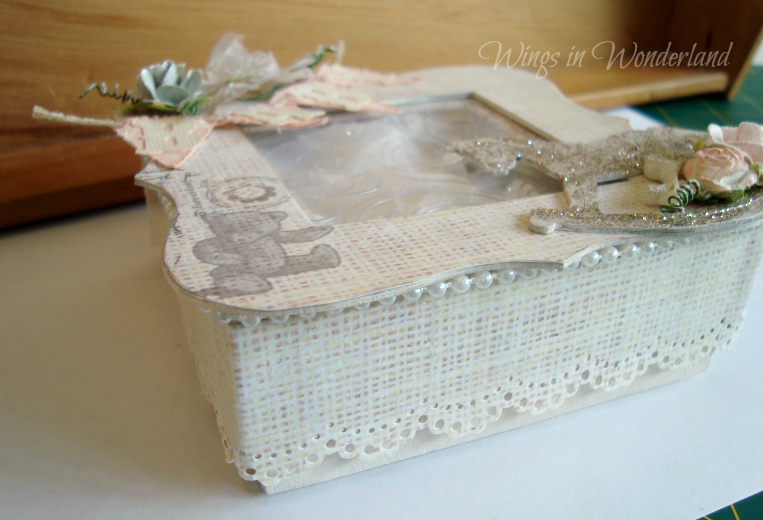 Here is a side view showing off the Martha Stewart Doily Lace punch and some pearl string which cover the sides, If you do not have this punch I highly recommend it, I cant help myself from reaching for it for almost every project as it is so versatile so definitely money well spent. Right hopefully you can see the "window" in this picture?!. To get the beautiful design I popped a piece of acetate paper into an embossing folder and ran it through my Cuttlebug. Voila instant glamor! 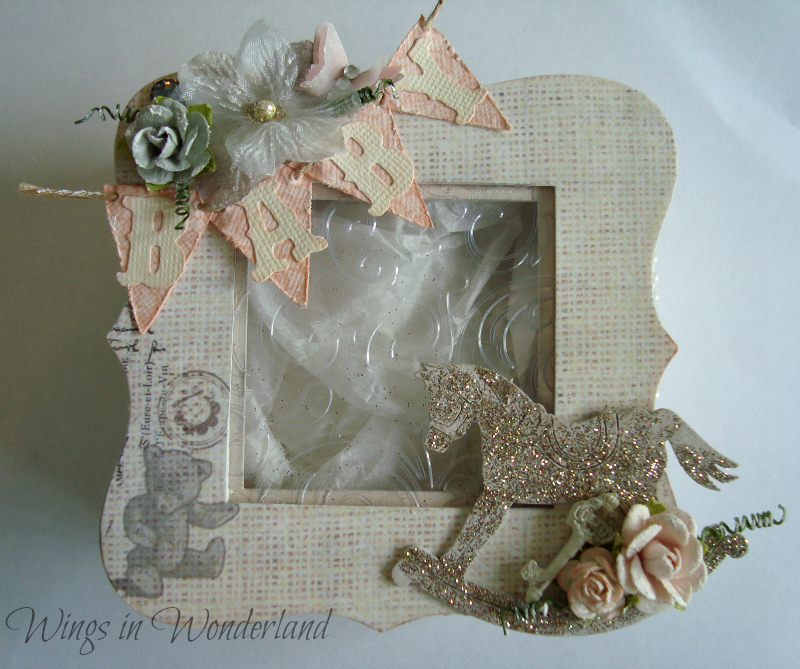 The last little Cutie on this box is the super sweet Fabscraps Rocking Horse (which I have painted and covered in Platinum Stickles) its tucked in with some more Prima flowers and a little resin key. And there you go one sweet little box to fill with memories!